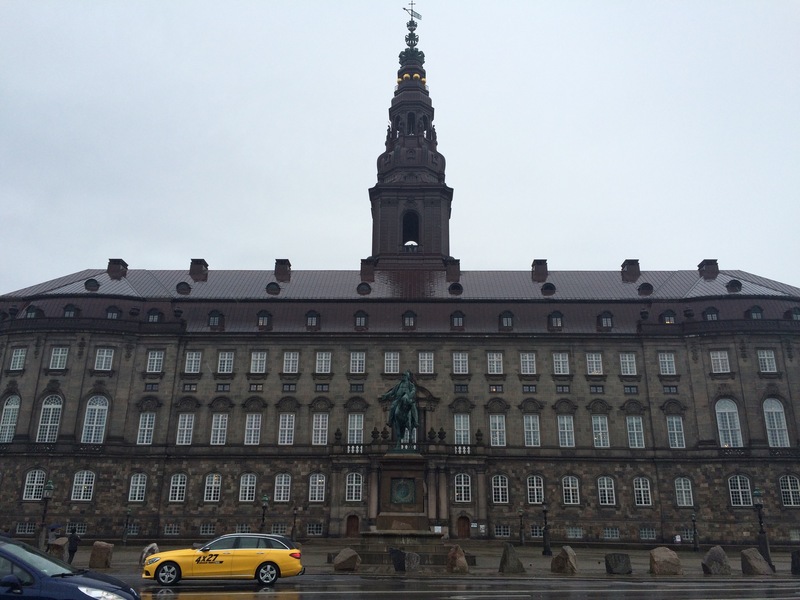 Last time I showed you all of the royal palaces of Copenhagen. And they were beautiful. 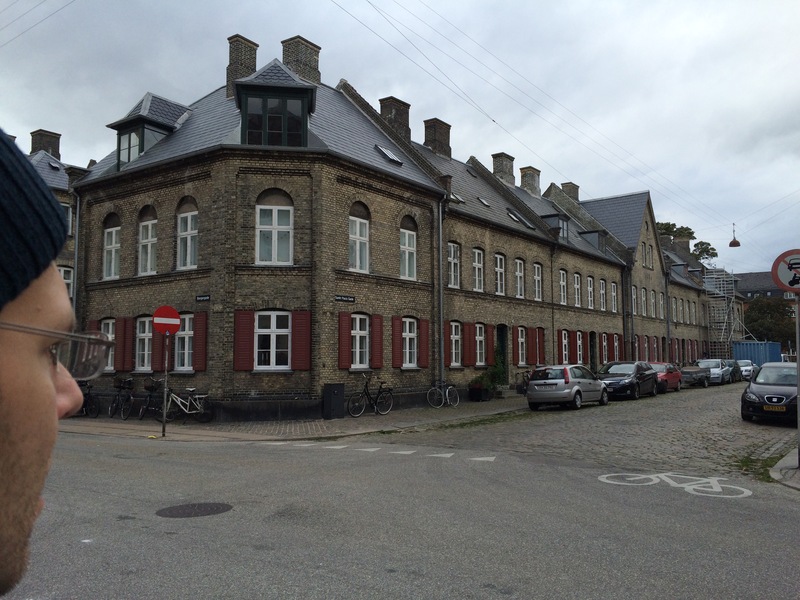 Today we explore the rest of the city of Copenhagen. Copenhagen has been around for a long time and it actually has played a larger roll in shaping the world than I first remembered. As you read previously, Christian IX basically got his kids married off to every monarch that mattered in the known world and therefore ensured all the monarchs of the future would be related in someway or other. But you good students of history will remember that there was also the Danish East India Company that went to India and ended up importing more tea than even the British could pay for (and we know this because the Danes smuggled it in to Britain and sold it at an enormous profit on the black market). Copenhagen had been around since the beginning of history, and like most older cities it has suffered many sackings and at least two major fires that wiped out some of the oldest parts of the city. Whether it is because of this or despite this, Copenhagen has a real love of beautiful buildings and exploring the latest in architecture. The first fire happened in 1728, burned for 3 days, and took out over a quarter of the city and just about 50% of the medieval section. They replaced all of the old, destroyed stuff with the French baroque style of architecture that Christian VI (and his Queen Sophie Magdalene of the silver furniture and new blingy crowns) preferred. The old part of Christiansborg Palace that survived the later 1795 fire is in a distinct baroque style. 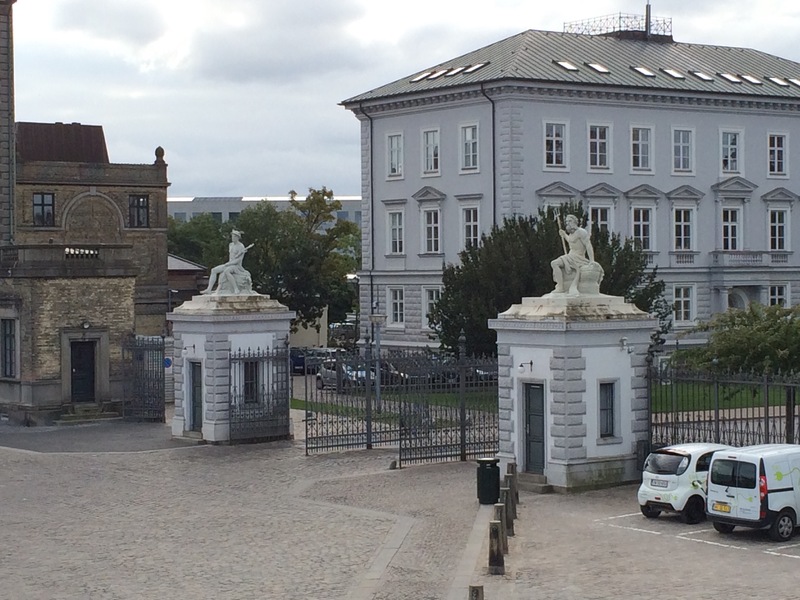 The older wing of the Christiansborg Palace. 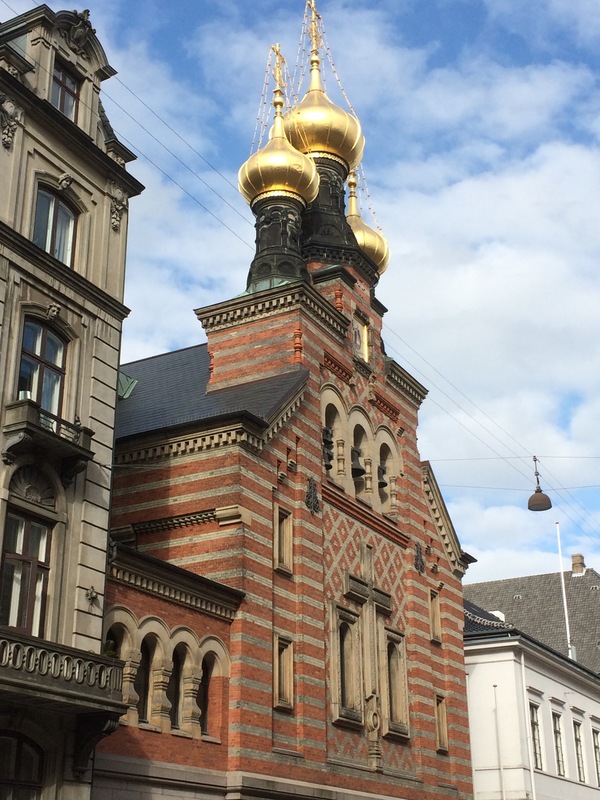 It’s style is much like the beautiful stock exchange building, The Børsen, that was built in the 1600s. That spire? That is the Dragon Spire. 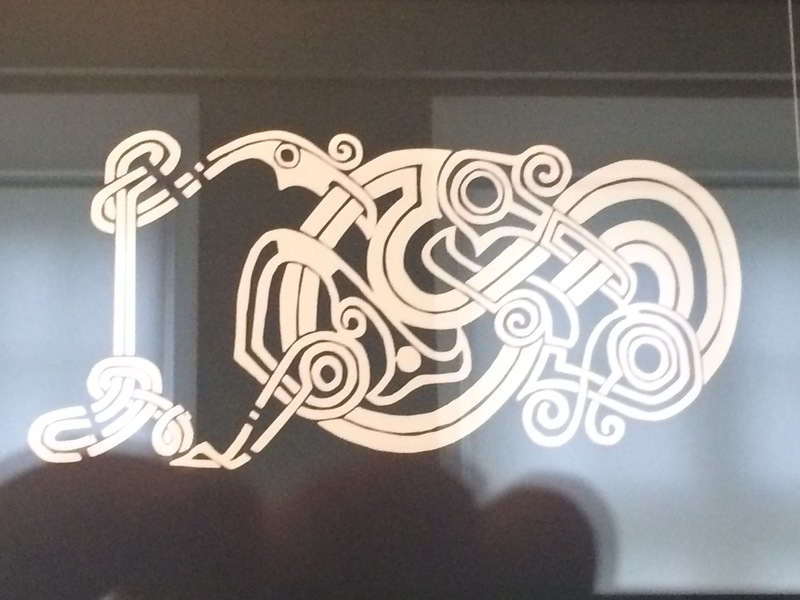 There are 4 dragons carved at the base and the spiral up are their 4 tails intertwining. 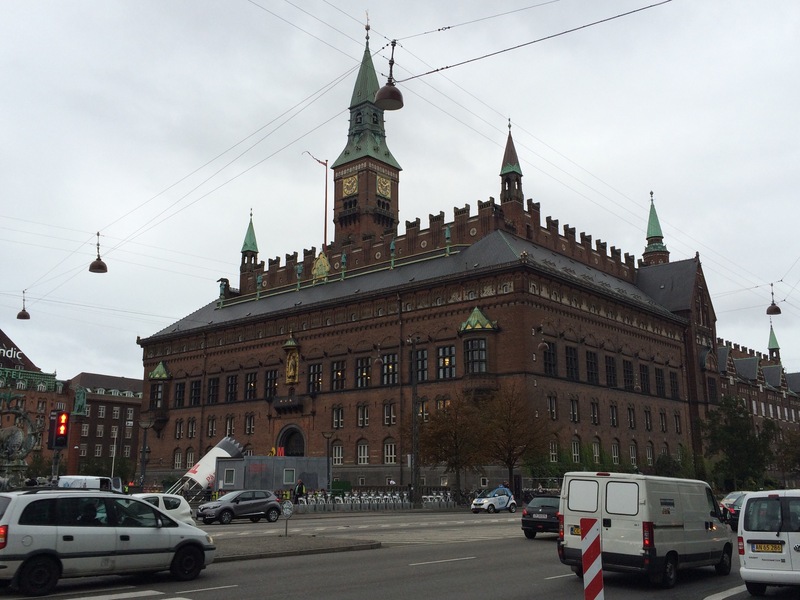 It doesn’t house the stock exchange anymore, it’s now the swanky digs for the Danish Chamber of Commerce. Spiral spires seemed to be quite in vogue in the 1600s. 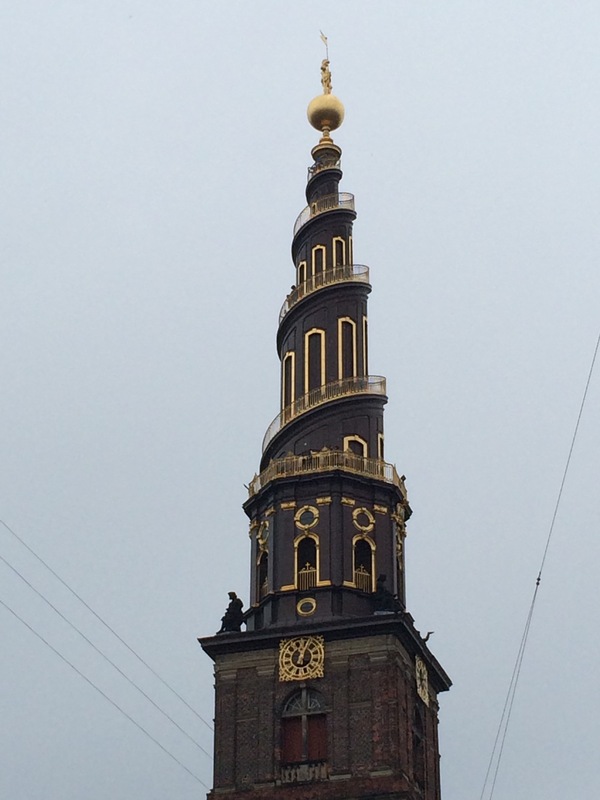 Christian IV not only requested the spire on the Børsen, he also had the Church of Our Saviour in Christianshavn built with an incredible spiral spire on top. It has a kind of “lighthouse” feel to it. Natural, I suppose, since it’s so close to the water. Around the end of the 1730s (and right before he died), Christian VI and Sophie decided they liked the French rococo style a whole lot more than baroque so they started to have everything built with a rococo flair. For example, the royal house that was built for their son Crown Prince Frederik (later Fred V) and now houses the National Museum of Denmark was built in a rococo style. And Frederik V also like rococo architecture. 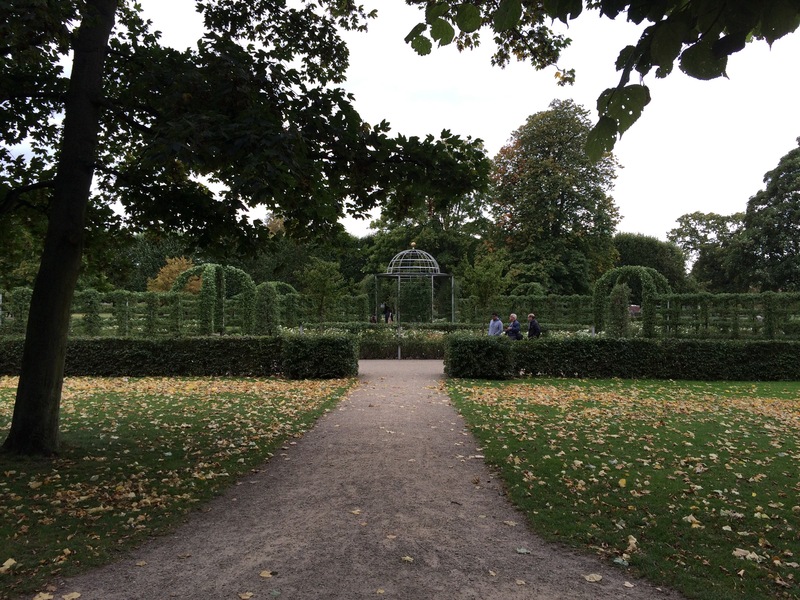 He was also very happy with the man who designed is princely abode, one Niels Eigtved, and gave him free reign to design the Amalienborg Palace, Frederik’s Church, and the entire neighborhood of Frederiksstaden in his own rococo style. The second fire happened in 1795. Christiansborg Palace had burned down the previous year so they began to clear out the damaged sections and rebuild there as well. Those buildings, the most notable being the palace, were built again in the neoclassical style favored by Christian VII. Not all the buildings built as palaces are still used by the royalty. It seems like once the royals finished with a building they turned it into a museum for the people. 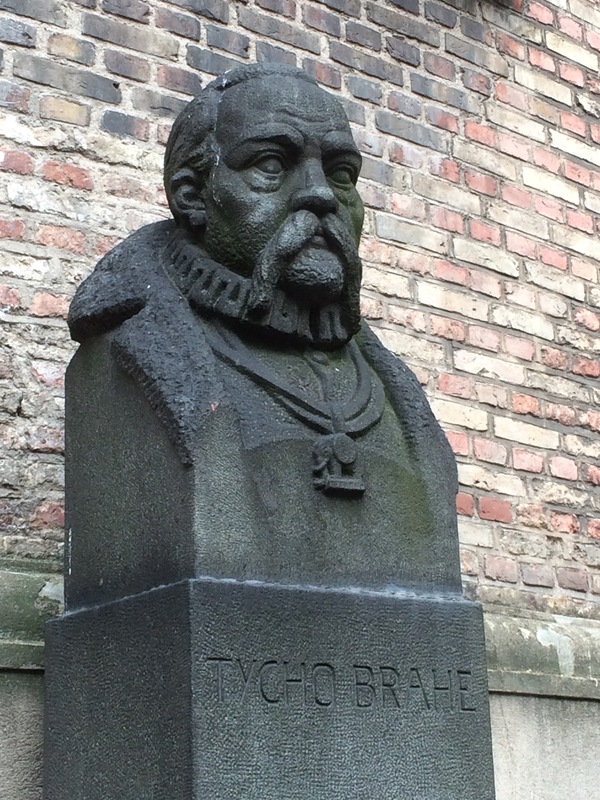 I already mentioned how Fred V’s house became the Danish National Museum. 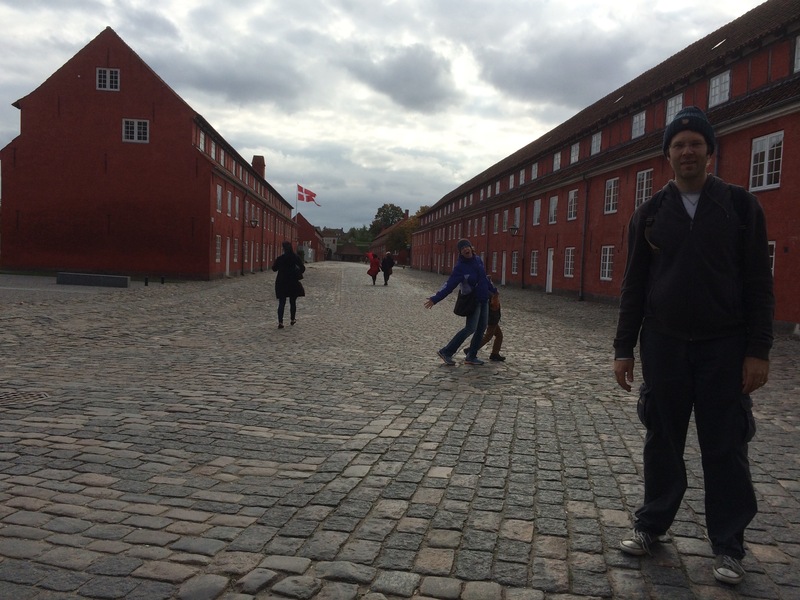 We visited there to get a glimpse of Danish history. There was a lot to see. The best part of the Museum was the Children’s Museum section on the ground floor. 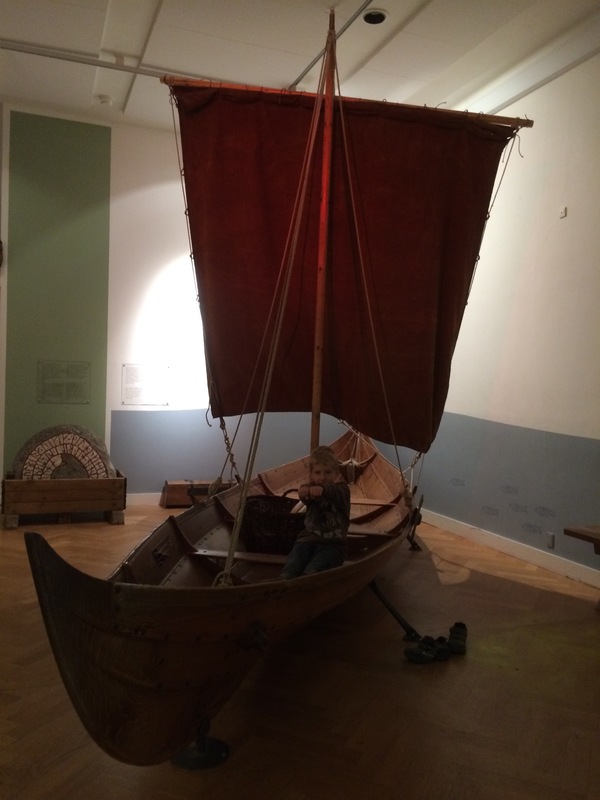 It had all sorts of things to climb on and try out – complete with viking costumes! One of the other palaces-come-museums that we visited was the National Naval Museum. 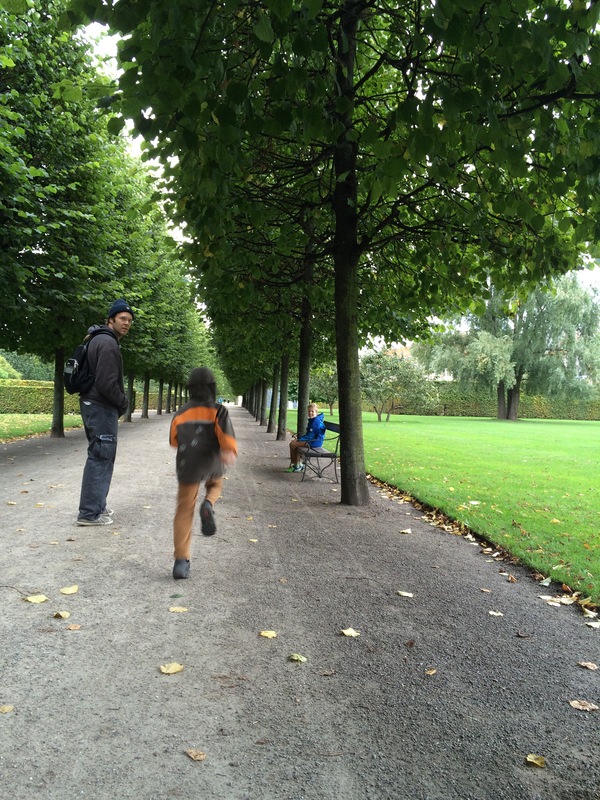 It was around the corner from the Amalienborg Palace. We spent 90% of our time there, again, in the children’s section. What could I do? Mark insisted! And there was a pirate ship right inside the building! Pillaging could happen! And that cannon that Mark is leaning against? Is 100% real! 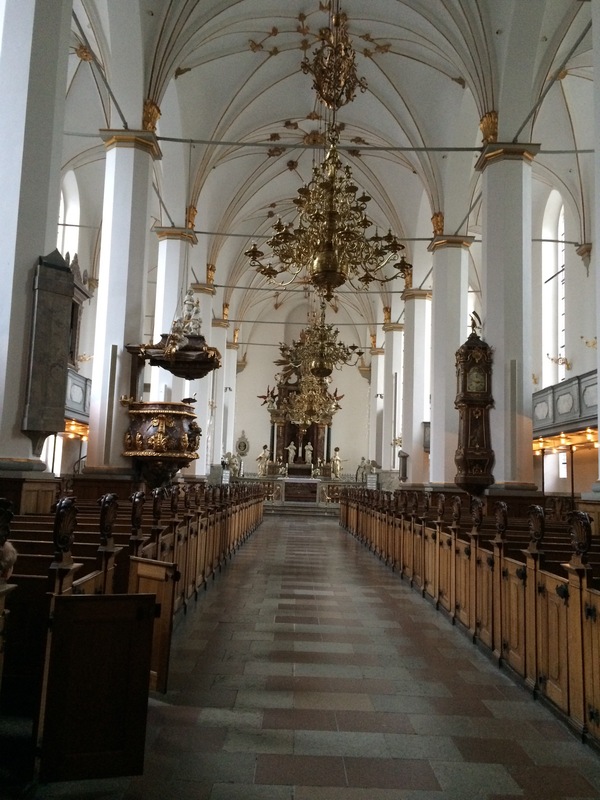 Denmark was also the birth place of people who shaped our modern world. 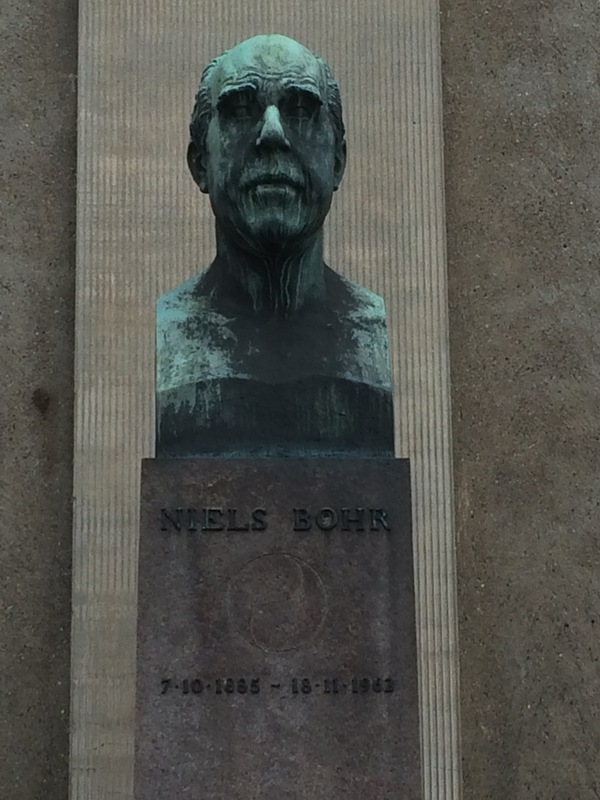 Scientists like Niels Bohr, who won the Nobel Prize for Physics for all the work he did on finding out about the structure of atoms, and Tycho Brahe, who spent his life cataloging the location of stars and direction of their movements which allowed his assistant/lackey Johannes Kepler to publish his laws of planetary motion (which influenced one Sir Isaac Newton’s theory of universal gravitation). The artist Bertel Thorvaldsen was an internationally renowned sculpture and is so beloved by the people of Denmark they took up a collection and built a museum for art and they named after him. It’s right next door to Christiansborg Palace. 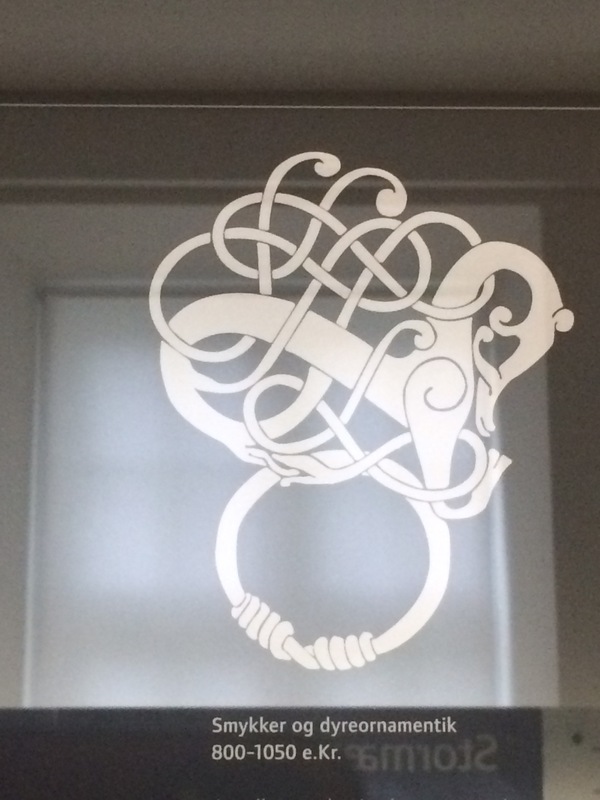 The collection of the museum features Thorvaldsen’s work and also the work that he collected during his life time. Denmark’s love of Thorvaldsen might be one reason why there are so many statues and carvings in Copenhagen. There are bronze figures everywhere! Many topping buildings. Many gracing public squares. 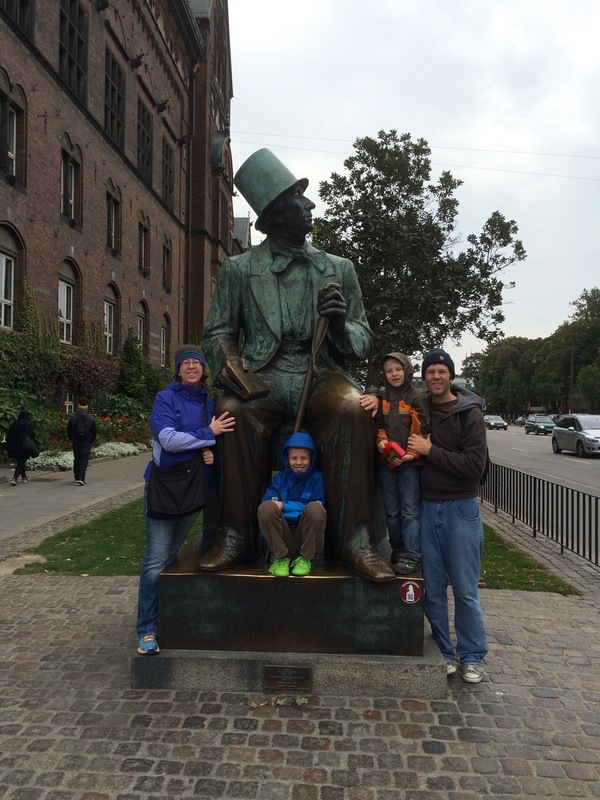 You can’t think of Denmark or Copenhagen without thinking of Hans Christian Andersen and his fairy tales. Everyone has their favorite story. Mine are “The Princess and the Pea” and “The Emperor’s New Clothes.” And many of them have been made into movies. The recent hit Frozen is based on the story “The Snow Queen.” The Little Mermaid is now a Disney classic and has always been a favorite of children everywhere. 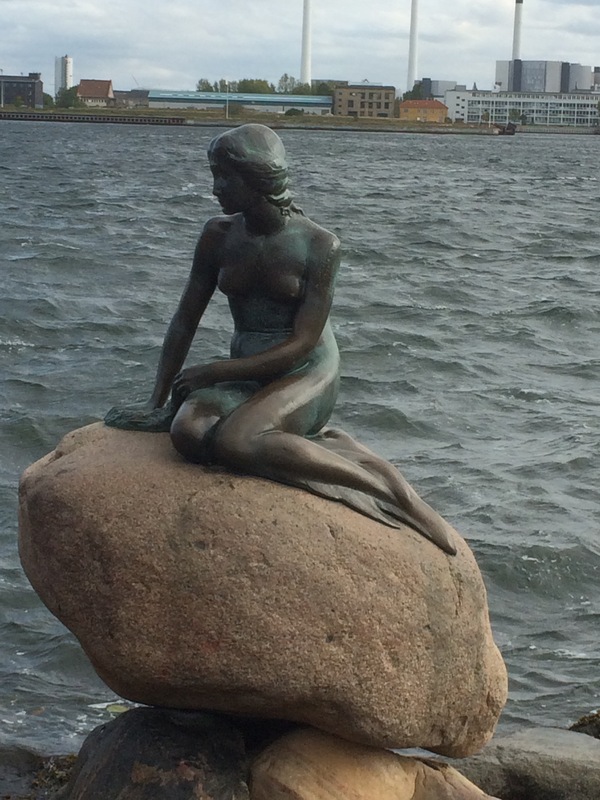 So much so that the founder of Carlsberg Beer paid sculptor Edvard Eriksen to make The Little Mermaid statue that lives at Langelinie in the harbor. Many people have said the statue isn’t that great or isn’t really worth seeing. We went to see it as a part of a self-guided walking tour that one of the free maps lays out for you. The statue was a neat part of a great tour that took you all over the city. 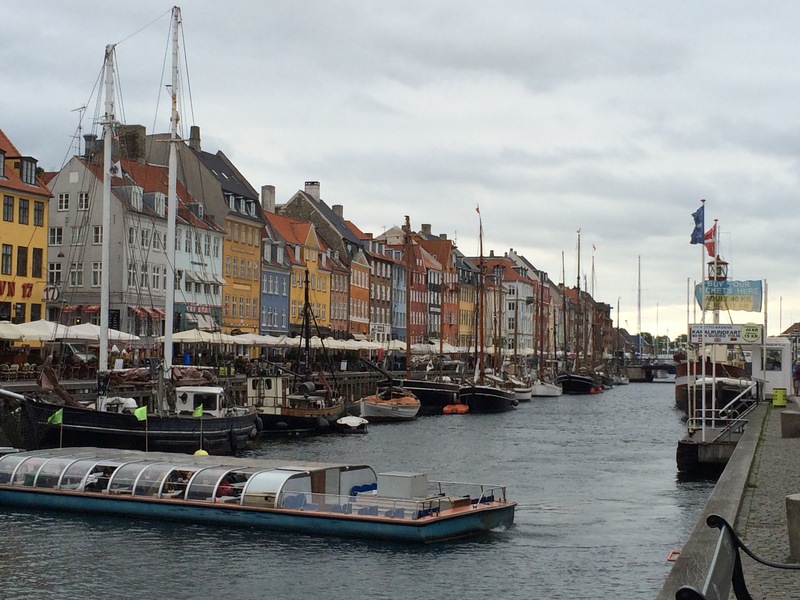 This tour also took us along the waterfront by the Nyhavn neighborhood, famous for colorful row houses and a colorful history of being a sailors’ hangout that featured women, wine, and song. 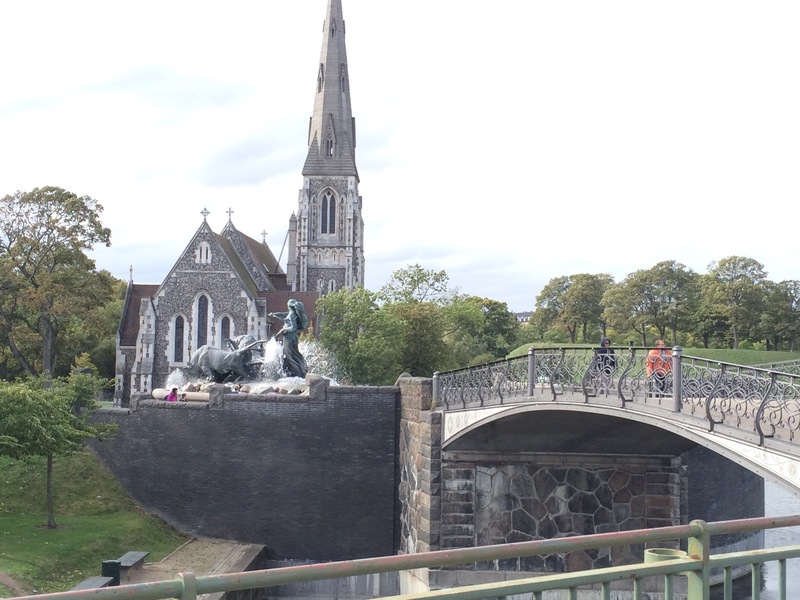 It’s an artificial canal that was hand-dug by Swedish prisoners captured during the Dano-Swedish War in the 1600s. 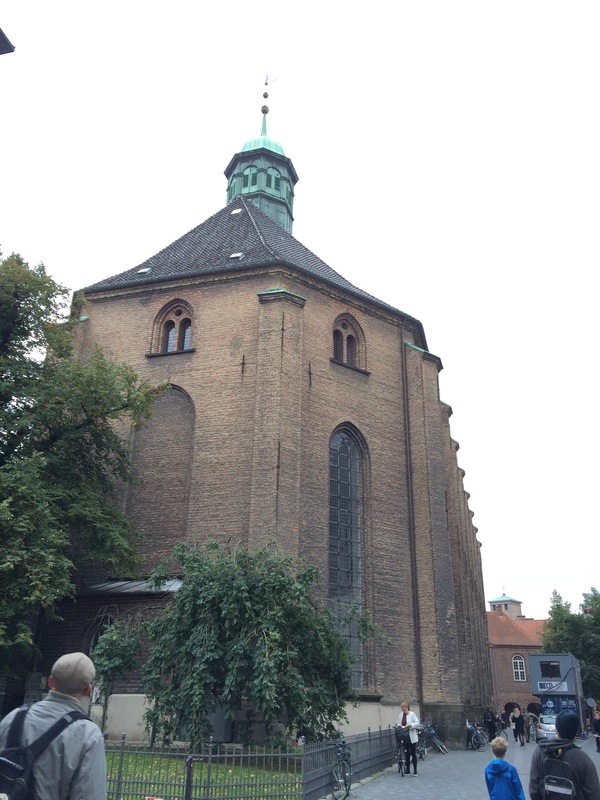 We also wandered through the Amalienborg Palace, past the Alexandr Nevskij Church, and through the beautiful Kastlellet park where the St. Alban’s Church (the only Anglican church in Denmark) is located. and a fairy tale bridge leading over a tributary to the harbor that gives you an amazing vantage point to watch the ships leave the harbor. Below is the entry way to the Nordre Toldbod part of the harbor. Mercury and Poseidon wish the sailors a good voyage. Just north of this is The Little Mermaid. 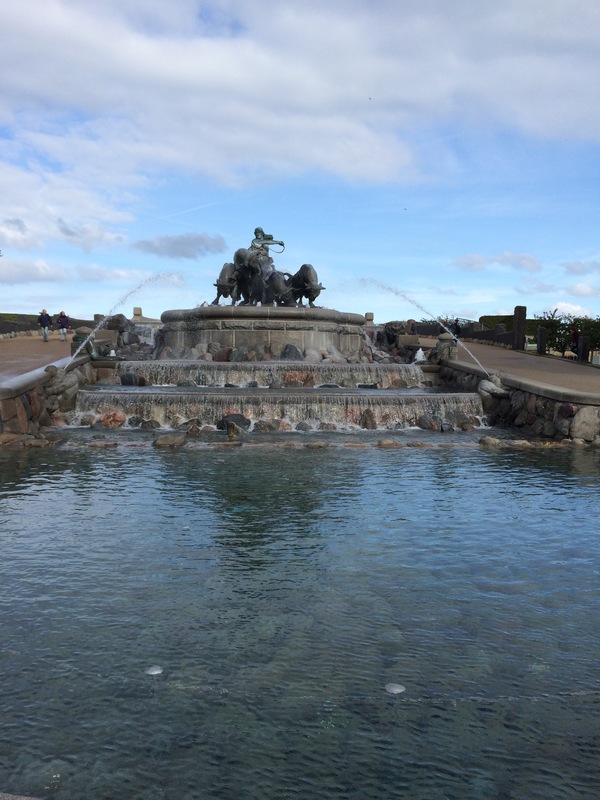 Once you visit the statue in the harbor you loop around through the Kastellet, which is a star-shaped citadel that still houses the commander and provides barrack space for the soldiers. The barracks are painted a lively red and each 12’x12′ room held 6 soldiers. There is row after row of these yellow houses in this neighborhood. They have low doorways and windows that stand about mid-shoulder. People have hung delicate lace curtains that just managed to obscure the view inside, but still allow them light. These other houses are right across the street. I can only imagine that they were built for the officers. They have more architectural detail, but they are right on hand by the enlisted men. We were just about at the point in the walk where the boys absolutely needed to run off steam. 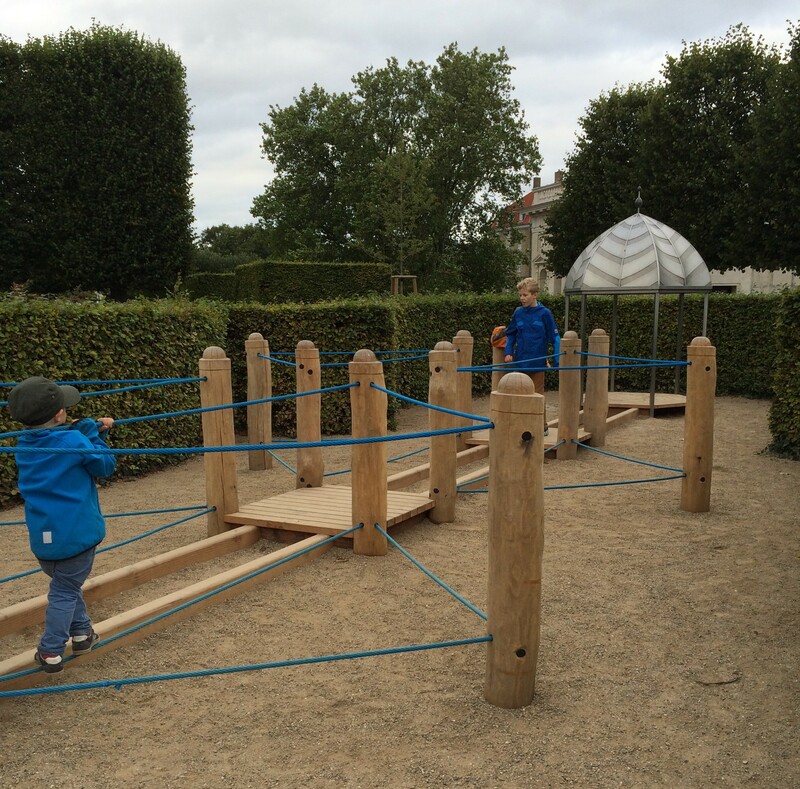 Thankfully we were close to Rosenborg Castle and its gardens that we could take a detour and let the boys loose on the poor Danish children. 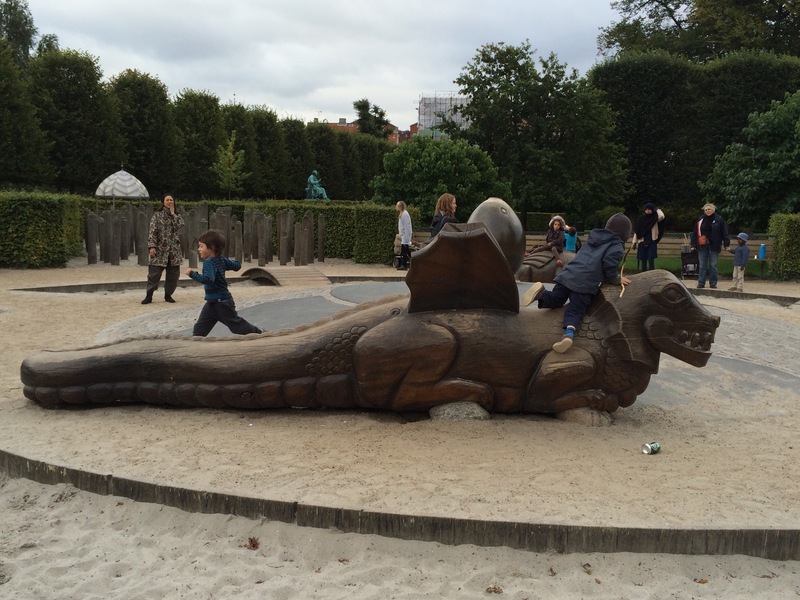 As you can see there are wonderful dragons to climb on, ropes and beams to balance on, and stumps to hop around on. 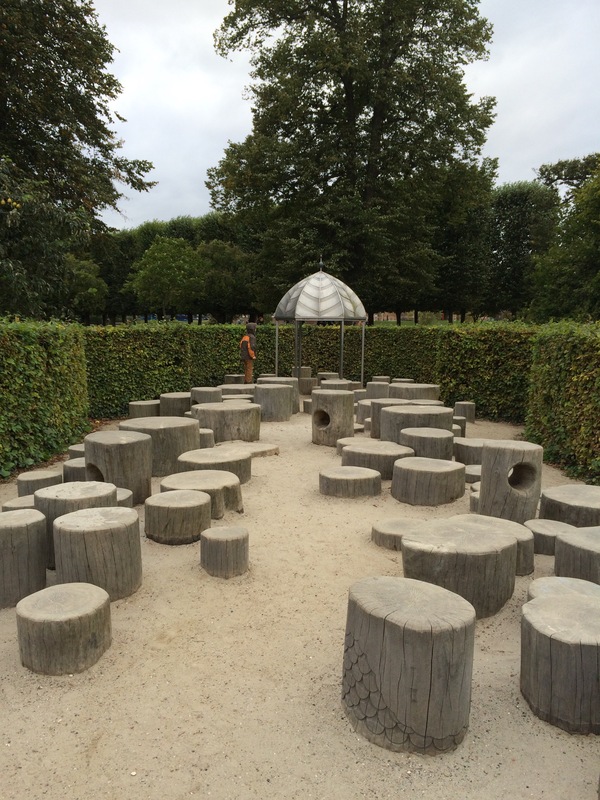 For adults there is a perfect English garden to saunter through – possibly even child free. After playing in the park we were all chilly. It was only 55F (9C) in the city that day and we needed a warm drink. We wandered out of the park and in the direction of our hotel. 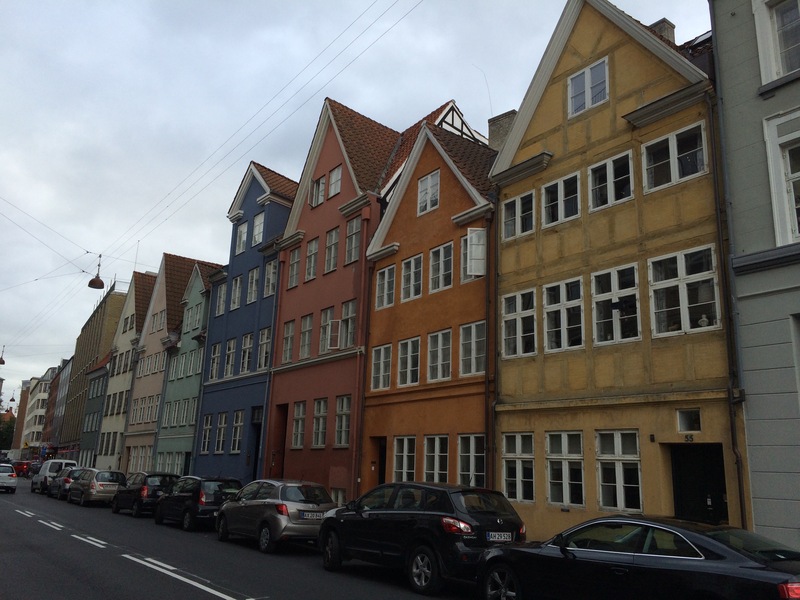 Bright and cheerful houses leading from the park to the university area of Copenhagen. We came to an area filled with brick buildings that just felt old. We were sipping our coffees and Mark commented how much this felt like a university neighborhood. There were lots of people riding around on bikes. Flyers posted around featuring experimental theater and music. Young people reading Proust in the original French. 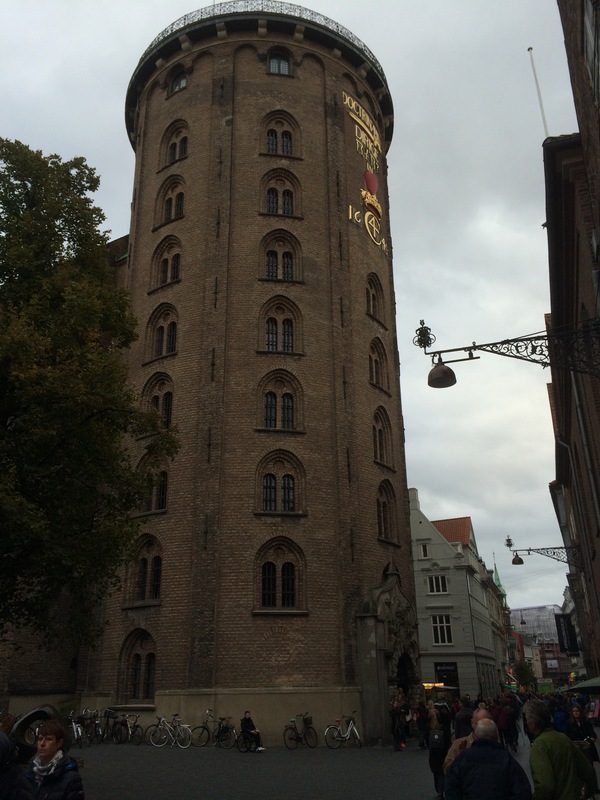 It turns out we actually were by Copenhagen University at the end where The Round Tower stands. The probably should have named it The Astronomy Tower, but I guess it was more impressive that it was round and that you could ride horses up the ramp to the top. The Tower was built with a student chapel attached to it. The chapel also housed the university library on the upper floor. This trio of buildings is known as The Trinitatis Complex. We went inside the chapel to explore and get out of the wind a bit. 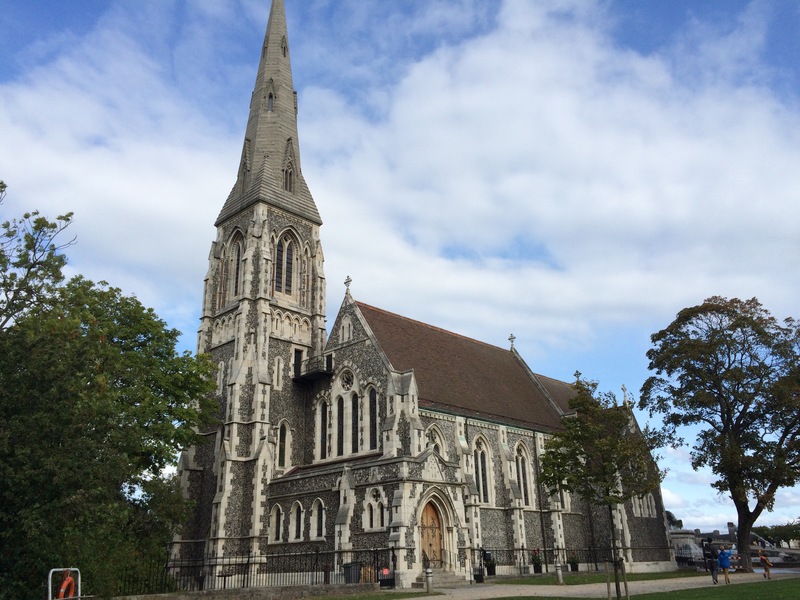 It is a simple, quiet church that is perfect for contemplation. The organ is HUGE, especially given the smallness of the chapel. 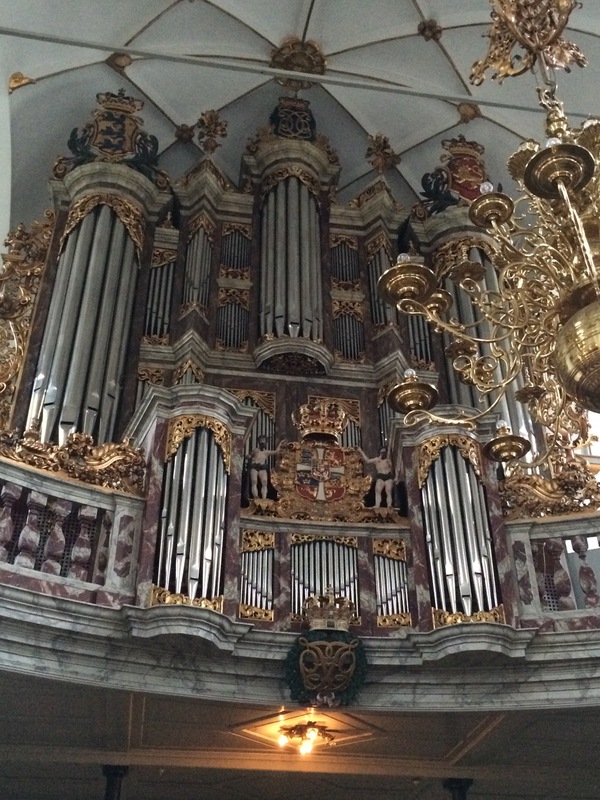 It is impressive looking though and has the crest of Christian IV on it, so he must had thought a big organ was necessary. Of course, they couldn’t just play the big organ all the time. It would disturb the people using the library! So they got this little one, too. 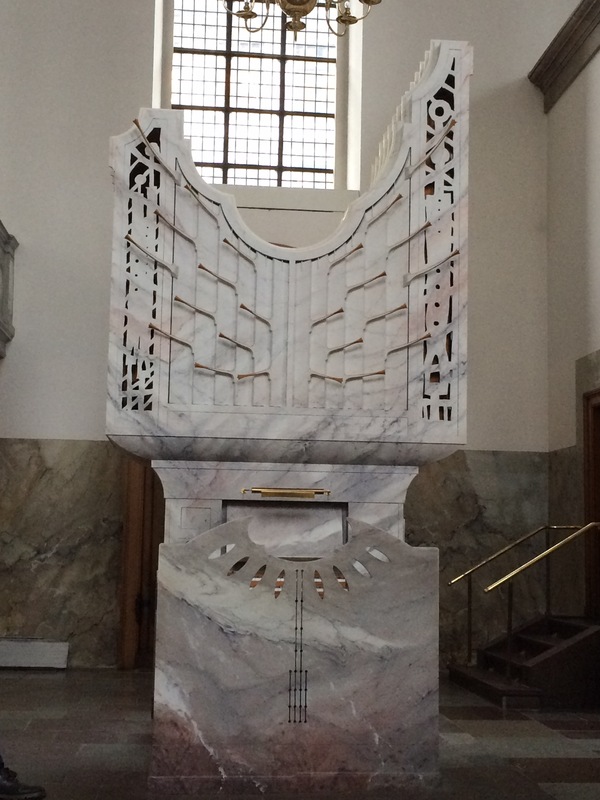 This is a wooden organ that is painted to look like marble. It makes it blend in with the style of the church rather than have this big, brown organ sitting right in the front of the church just below the altar. Plus we wouldn’t want to distract from this beauty. 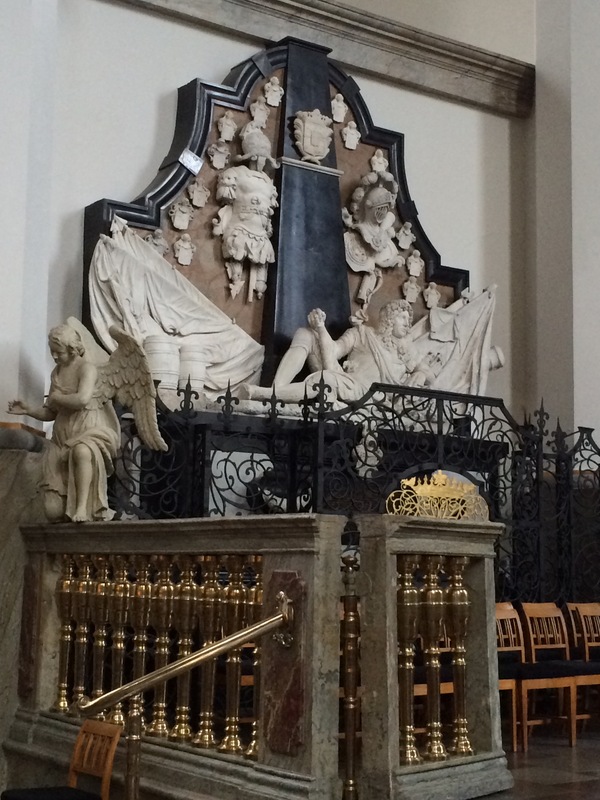 This is a memorial to one of the kings of Denmark. Or maybe all of them. I wrote a note about it on a napkin and then I guess I used the napkin to wipe chocolate off of a child’s face. So, if you really want to know who it is you’ll have to go to Copenhagen. Sorry. He looks very kingly and impressive, though. We ended our tour right around the City Hall and Tivoli Gardens. 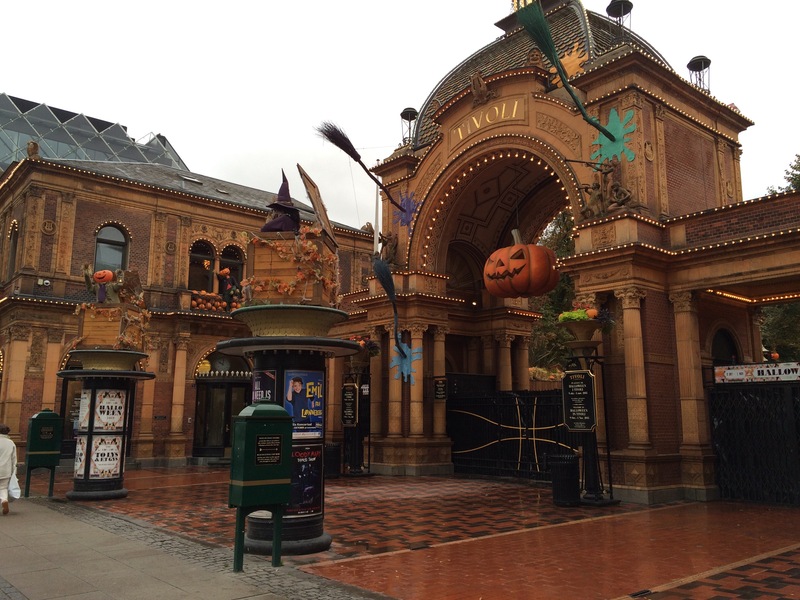 I was disappointed to see that Tivoli was closed for the days that we were visiting to decorate for the Halloween/Fall holidays. 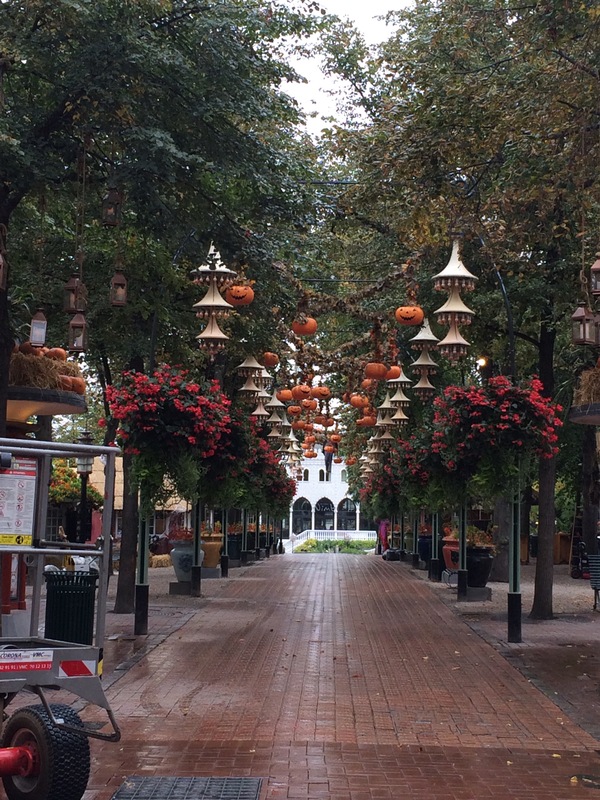 Tivoli Gardens isn’t like a “garden” garden. It is an amusement park right in the heart of Copenhagen. What we could see of it was beautiful. The main route into Tivoli beyond the gate. 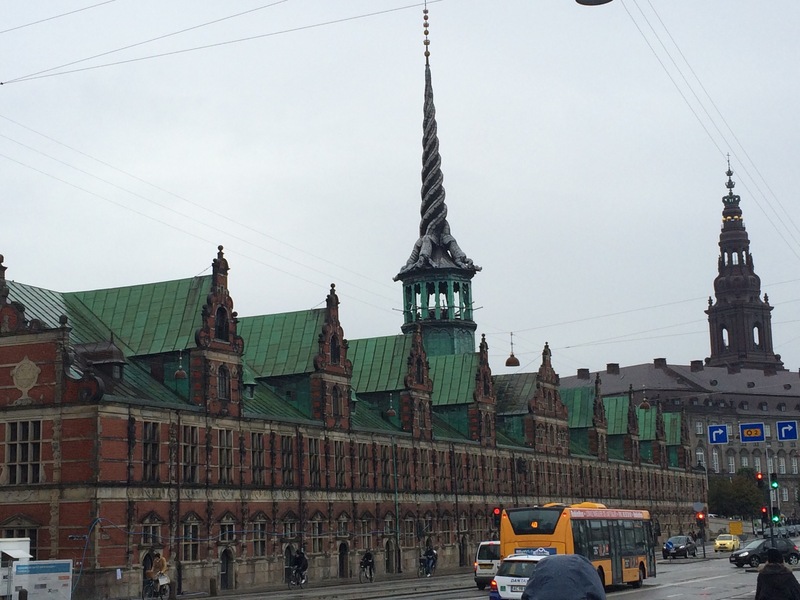 Literally right across the road is the Copenhagen town hall. It’s a huge building that, while it looks old, is actually quite new (relatively). It’s part of the National Romantic Style. In the early 1900s they basically took all the things they liked in the buildings from the last 700 years and put it together in one form. 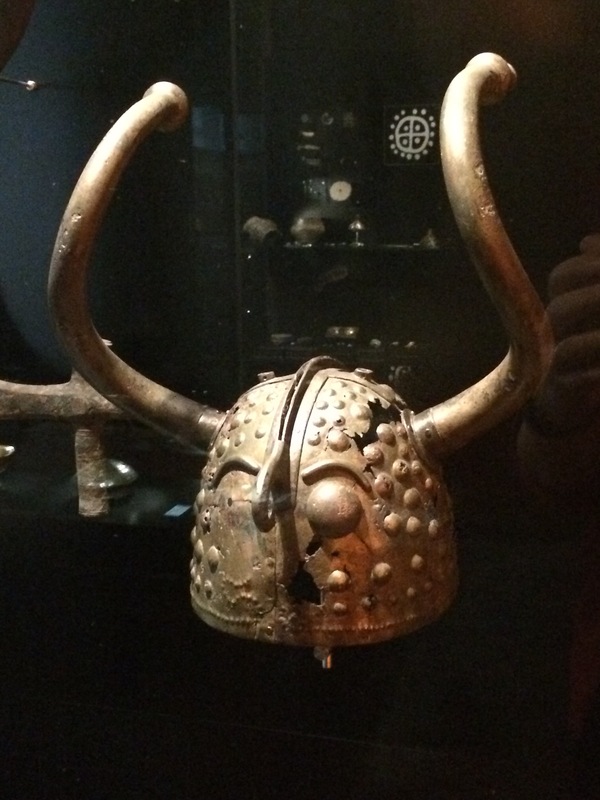 Apparently two of the things they really loved were pointy things and gold. 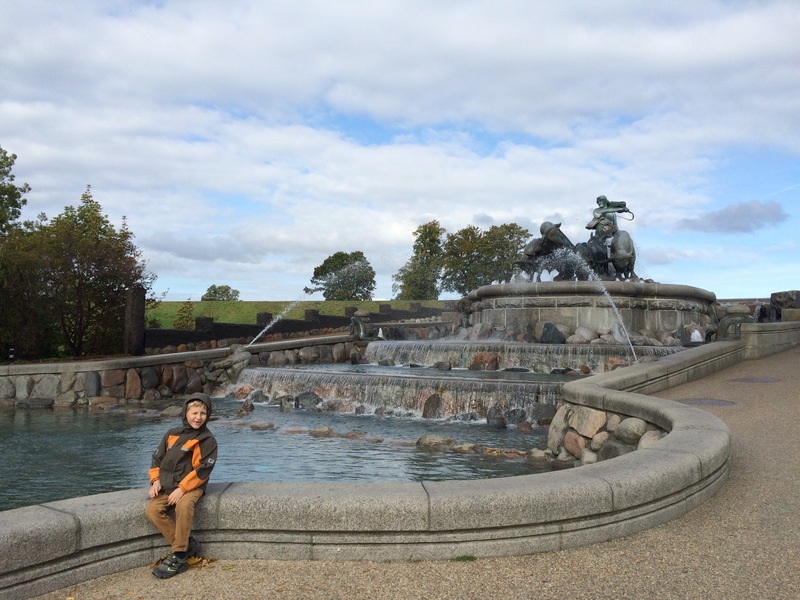 And, of course there was a sculpted fountain. And Hans Christian Andersen (known to the locals as “H.C.”) is right around the corner. A dragon? With an elephant nose? 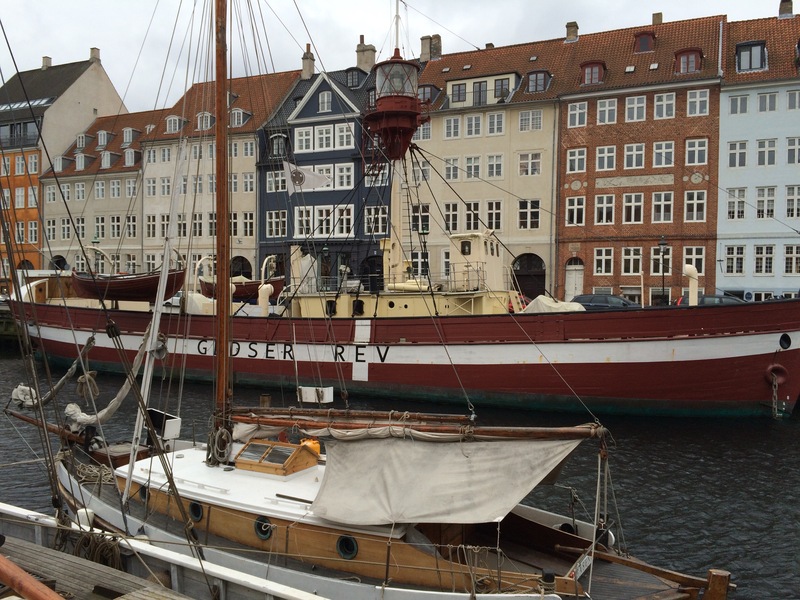 Copenhagen is a fun city with lots to see. The people are friendly and happy. The food is great! It’s right on the sea so fish and the different ethnic cuisines that feature fish are popular. I think there was a sushi restaurant about every block and H got fish and chips for just about every meal. We found a great Indian place just up the street from us for dinner the first night and then right across the street was a French cafe that specialized in steak and fries. I do recommend trying to go when it’s a bit warmer out. There are canal boat tours available then and the street cafes will be hopping with people. 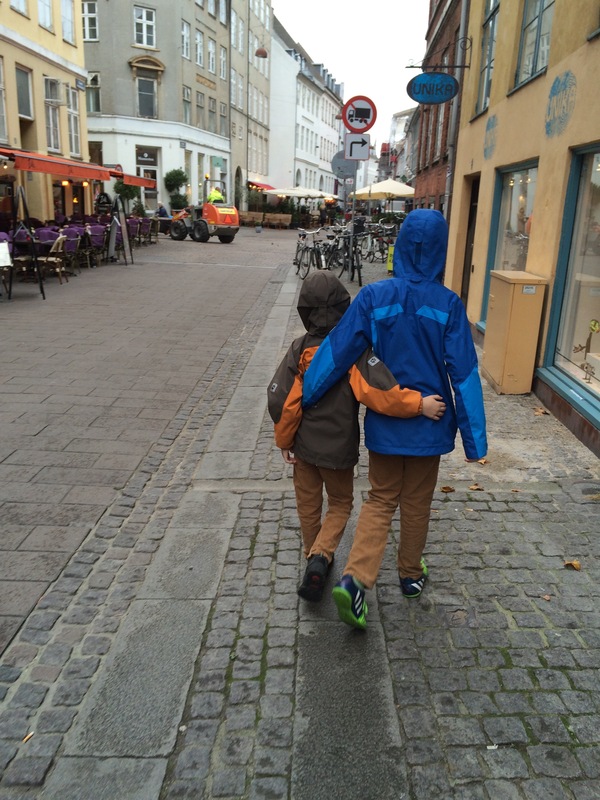 And I think you need more than the 3 days we took to see Copenhagen. Especially if you want to take a quick 30 minute train ride to Malmö, Sweden or go to see the viking museum in Roskilde. Expect Tivoli to take one whole day as well. And we also found most tours up to see Kronborg Castle in North Zealand (the “Hamlet” castle) stop at the end of September. I was a little disappointed not to see some of these things, BUT that just gives us a reason to go back! Next time The Swiss Family Carlson go through a Secret Circuit!